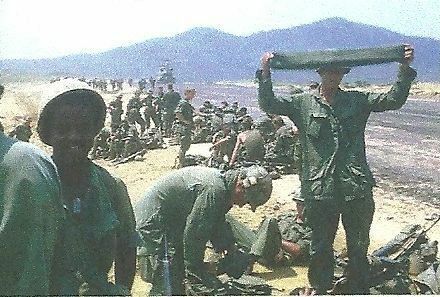 In March of 1971, the 25th Infantry Division was packing it up and leaving Vietnam. 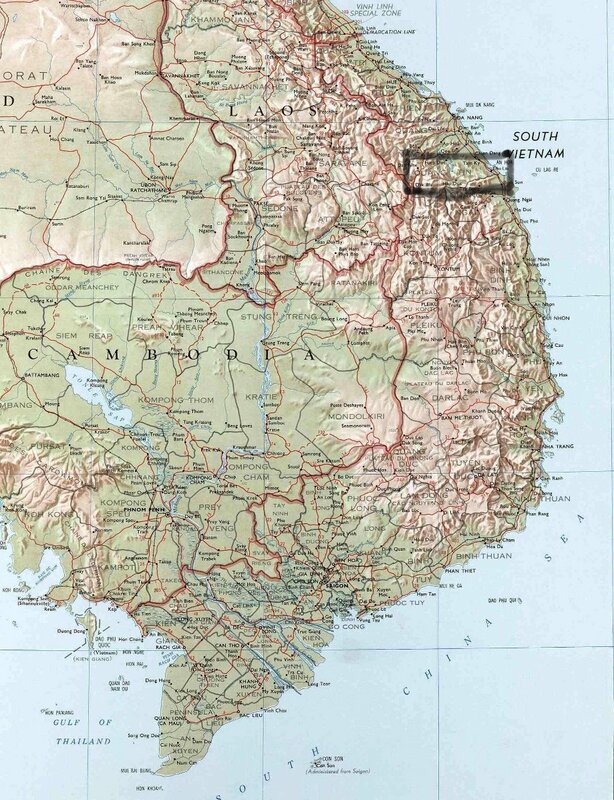 Those of us not having nine months in country were reassigned to other units within the country; I went to the 101st Airborne Division with many of my friends, others I knew, went to the Americal Division near Chu Lai…some flew out to FSB Mary Ann temporarily until a permanent home can be determined. This deadly attack occurred on their second night there! Running down the hallway of the battalion tactical operations center (TOC), Captain Paul S. Spilberg charged into a cloud of tear gas just as he reached the commander’s quarters. Staggering blindly back the way he had come, Spilberg made it to the north exit, crawled up the stairs and out the door into the fresh but bullet-ridden air. Forcing his eyes to focus, the shaken captain was stunned to hear the fire of AK-47s and the crash of rocket-propelled grenades from inside the base’s perimeter. In amazement he watched as numerous small figures darted catlike among the spreading flames. Everywhere he looked he saw the scurrying silhouettes, who were enemy sappers feeding the chain of explosions devouring Fire Support Base Mary Ann on that afternoon in 1971. Four days before the fatal attack, Spilberg had arrived at the FSB by helicopter. He was an old hand there, having previously served at Mary Ann as a company commander. Along with three assistants, he now had returned as a marksmanship instructor. 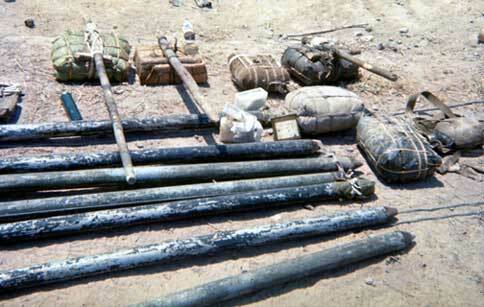 His team had established a training course using targets on a crude rifle range set up on the FSB’s southwest slope. 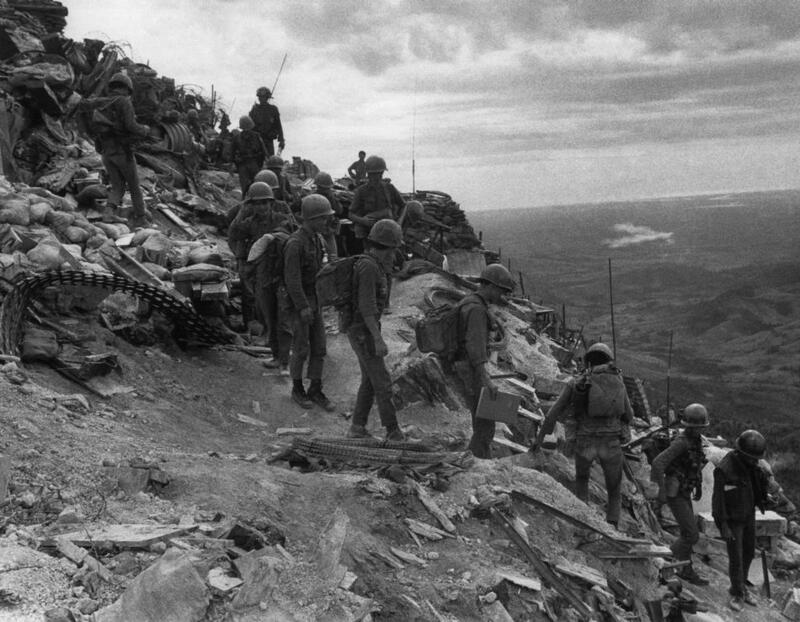 The hill was garrisoned by Company C, 1st Battalion, 46th Infantry (1-46), 196th Light Infantry Brigade, assigned to the 23rd ‘Americal’ Infantry Division. The battalion commander, Lt. Col. William P. Doyle, was a serious professional. 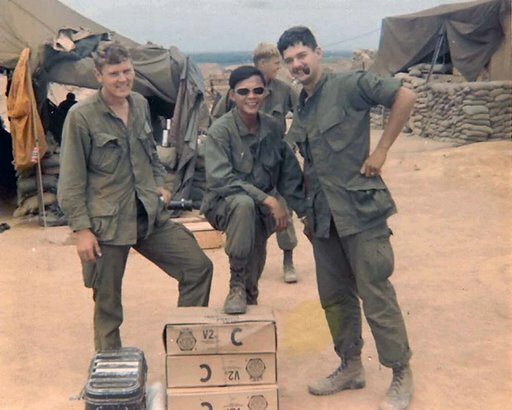 Along with the Company C commander, Captain Richard V. Knight, Doyle had molded this handful of reluctant draftees into one of the better combat units still in the field in 1971. 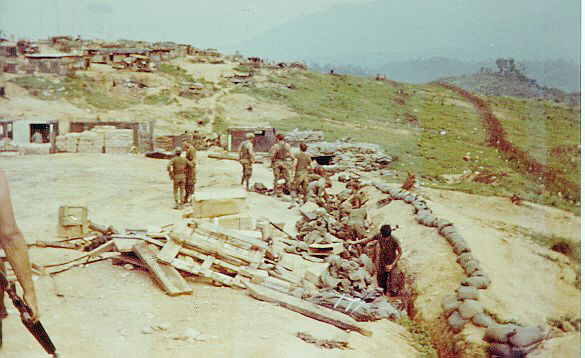 Mary Ann was in a generally quiet sector, and the soldiers atop the hill had come to regard their outpost as something of a rear echelon area rather than what it actually was — the division’s most forward firebase. 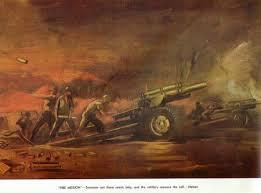 Three hours later the American firebase was rocked from within by a series of powerful explosions. Spilberg was asleep deep inside the TOC. The structure was a sturdily reinforced, half-buried bunker, and from its interior Spilberg initially had a hard time recognizing the muffled crashes. Thinking the base was taking mortar fire, he rolled off his cot and began pulling on his boots and shirt. One of the sappers had thrown tear gas into the TOC officers’ quarters, and Colonel Doyle was trying desperately to escape his gas-filled room. As he struggled to unlatch the plywood door, a satchel charge detonated in the hallway, blowing the door from its hinges and flattening him. Picking himself up, he turned toward the door and faced a sapper wearing nothing but bush shorts, a gas mask and a full-body coating of camouflage. When the Communist drew back to hurl another satchel charge, Doyle raised his own .45 and shot him square in the chest. As the man fell backward the bomb went off, blowing him to bits and flattening Doyle a second time. Three more charges exploded in the hall before Doyle was able to dig through the rubble and leave the bunker. By then he was bleeding from fragmentation wounds in one leg and both arms. He was unable to hear through his blood-filled ears, and could barely see through gas-seared eyes. For 45 minutes, the infiltrators sprinted throughout the firebase, expertly planting their charges among the frantic, befuddled Americans. As the assault concluded, the TOC was a towering pyre. Spilberg picked up a damaged M-16 he found on the ground. Wincing from three grenade fragments in his back, he made for Knight’s company command post to see if the captain had survived. The CP was a bonfire and beginning to collapse. As he reached the crumbling entrance, Spilberg could hear ammunition exploding in the flames. He peered inside but saw only a blazing vision of hell. Somewhere within that inferno, Knight lay dead. The company CP and battalion TOC had been the primary targets for the brilliantly executed sapper assault, and Knight was one of 30 Americans killed. On the morning of March 28, Doyle and Spilberg were among the 82 wounded GIs evacuated. The first indicator that something bad was afoot had come on the night of March 25-26. Lieutenant Scott Bell was on patrol, on what was supposed to be his last night on the hill. As he squinted into the surrounding silent, mist-cloaked jungle, he sensed an almost tangible uneasiness in the air, and felt a primordial sense of dread that motivated him to organize one last big rat kill before his departure. Maybe that would keep his men alert. The soldiers knew the drill. 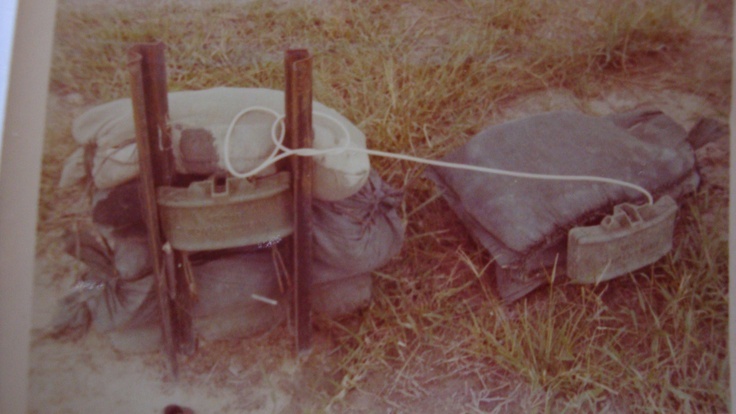 They constructed ingenious rattraps from empty C-ration cans laced with cheese and blasting caps. 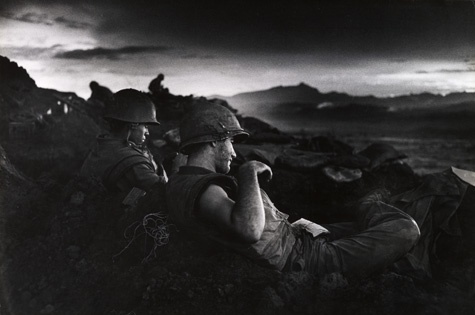 All night the men counted miniature explosions as squirrel-sized Asian rats died in the competition between platoons. By dawn there were 130 dead rodents laid out in neat lines in front of the CP. These were the last fireworks here for Bell and Company A. The next morning they moved out and were replaced by Captain Knight and his Charlie Company, who were transferred in from Chu Lai. Mary Ann had been constructed on the bulldozed summit of a ridge running northwest to southeast. In profile the elevation looked like the back of a camel, with the base stretching 500 meters across both humps. It was 75 meters wide between the humps, and 125 meters broad at each end. A continuous trench that was knee- to waist-deep and had 22 bunkers formed the perimeter. Inside the perimeter were 30 buildings of various styles, giving the appearance of a shantytown. The whole thing was surrounded by two belts of concertina wire. Two dirt roads interrupted the trench and wire line of the perimeter. Doyle had tried unsuccessfully to have chain-link fencing flown in to close the openings, but higher headquarters, noting that the base was soon to be turned over to the ARVN, decided against providing construction materials for the soldiers of South Vietnam. The road openings remained. 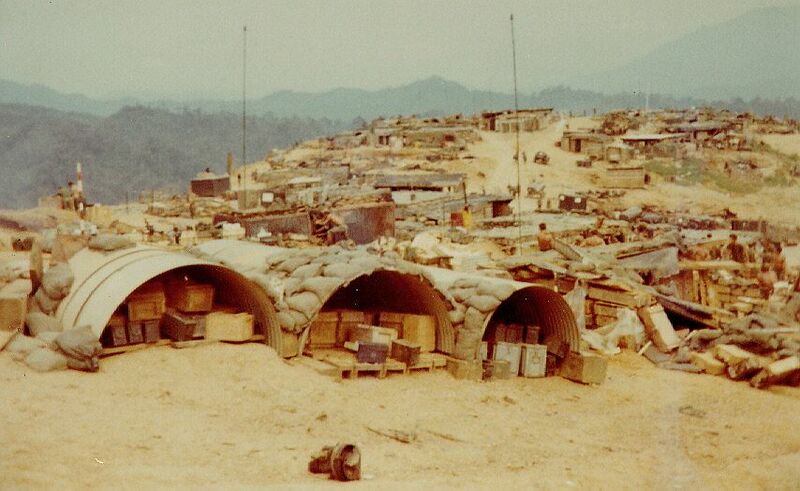 With the 196th Infantry Brigade already scheduled for redeployment to Da Nang, Doyle had ceased all construction projects within and around Mary Ann and had started packing for the move. By March most of the base’s mortars and artillery had been airlifted to nearby LZ Mildred to fire on enemy positions in that sector. By March 27, all of Mary Ann’s starlight scopes and ground radars had been shipped to the rear for maintenance. The attackers were from the Main Force VC 409th Sapper Battalion. 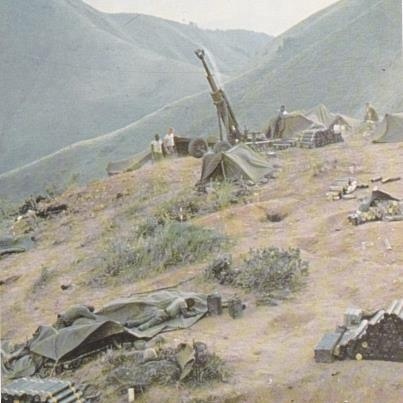 This unit was known for operating against the ARVN in Quang Nam province, and at that time was thought by out-of-date U.S. intelligence to be 15 to 20 kilometers east of Mary Ann, preparing for a major push against the South Vietnamese.At 0200 hours on March 28, an American searchlight crew conducted a cursory 20-minute illumination sweep of the slope outside the exit to the firing range. The hillside had been cleared of vegetation, but still was punctuated by boulders and tree stumps, all of which provided good hiding places for the small enemy. Seeing nothing unusual, the GIs shut down their light and headed for their bunker. The explosions started 10 minutes later. The 409th sappers were experts in their trade. With AK-47s strapped to their backs, grenades in their belts and satchel charges fastened to their chests, they wore nothing but khaki shorts and soot. They crawled silently, slowly and steadily through the jungle, using their fingertips as probes. 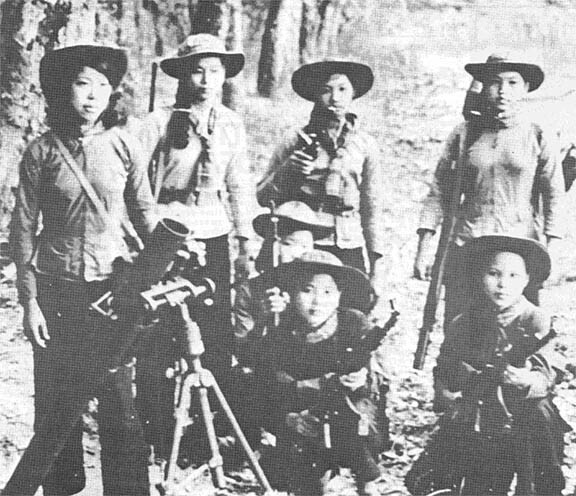 When they detected trip flares, they used lengths of bamboo, carried in their teeth, to tie down the strikers. 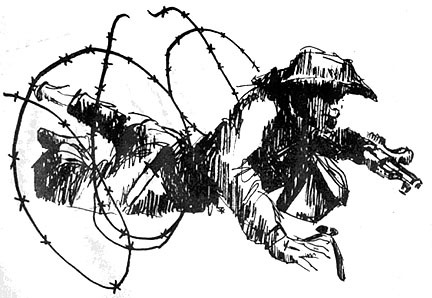 When they felt wires leading to Claymore mines, they used wire cutters to cut the lines. They were careful to cut only two-thirds of the way through the strands of concertina, then used their fingers to break the rest of the way through the wire silently and without shaking the large coils. Approaching from the southwest, the infiltrators cut four big gaps through the concertina, two holes on each side of the road where it left the perimeter. They repeated the procedure 50 meters farther on, through the second barrier, although the wire there was in such a state of disrepair that many sappers simply walked across the rusty, breaking steel strands. Another 30 yards and they came to the final concertina barrier. Rather than risk having the snip of cutters heard by some alert sentry, the infiltrators simply spread a gap through the wire, tying it open with bamboo strips. The sappers were well-rehearsed. Splitting up into three- and six-man squads in the zone between the inner wire barrier and the bunkers facing southwest, the assault teams waited until 0230 hours. 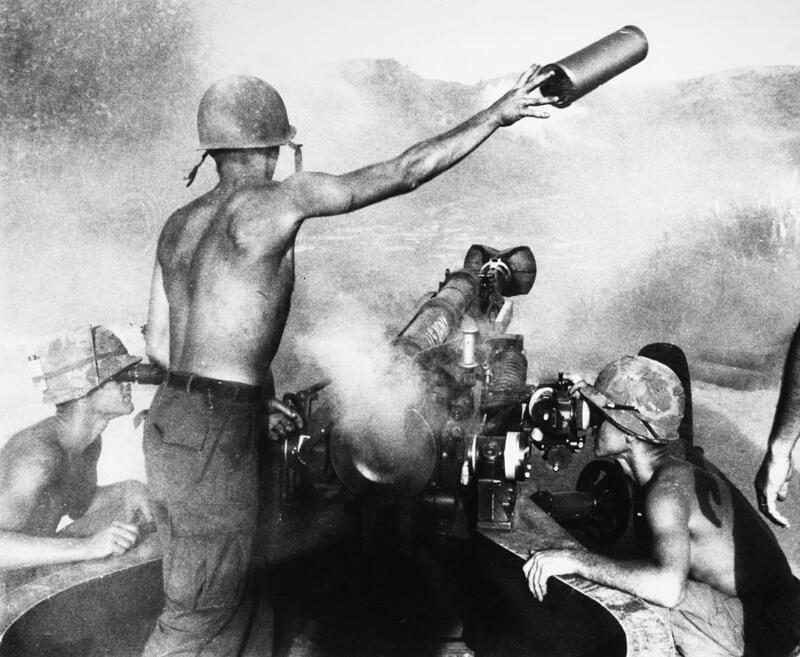 Then their supporting mortars opened with accurate fire on the TOC and CP on the base’s southeast side, and on the remaining U.S. mortar and artillery positions in the northwest area. A card game in the radio room was just breaking up when the first rounds hit. The explosion hurled Wise onto his back, knocked off his glasses, broke his left arm and sprayed the front of his body head-to-foot with fragments. Using his right arm to drag himself into his hooch, he shook awake his roommate, Pfc Peter Detlef, and then hid behind his reel-to-reel tape deck as he seated himself on the floor and tried to cover the door with his M-16. When Detlef, still half asleep, tried to go through the door, another explosion blasted the door off its frame and on top of him. As the VC had anticipated, most defenders were immobilized by confusion. One radioman never bothered to crank up his radio to report the situation, but simply rolled off his cot onto his hut’s dirt floor and hid beneath his mattress until the shooting stopped. Doyle did not realize how badly he was hurt. He was almost deaf and blind from tear gas, powder burns and explosion concussions. The shrapnel wounds in his arms and legs would take months to heal. Nonetheless he made it to the top of the exit steps, raised his M-16 and started to aim at a couple of infiltrators outside the bunker — but a third, unseen enemy soldier threw a grenade at him. It landed at his feet and exploded as he turned to head back inside, blowing him down the stairs. The entire TOC was now burning. Lieutenant Edward McKay, the TOC night duty officer, started to panic in the ovenlike bunker. ‘We gotta get outta here!’ screamed McKay. ‘We’re all going to die!’ sobbed McKay. It was now 0251, and radio telephone operator (RTO) David Tarnay managed to raise LZ Mildred. Spilberg realized that calling down fire on his own position was likely the only way to save the surviving Americans there. Doyle next grabbed the mike and informed Schmitz they were being forced to evacuate the TOC and would temporarily lose radio contact. With Tarnay and Gutosky carrying all the radio equipment they could, and with the now-incoherent McKay slung over Tarnay’s shoulder, the handful of resolute GIs made their way to the firebase aid station, where Tarnay put McKay on a cot and then tried to get a radio working. 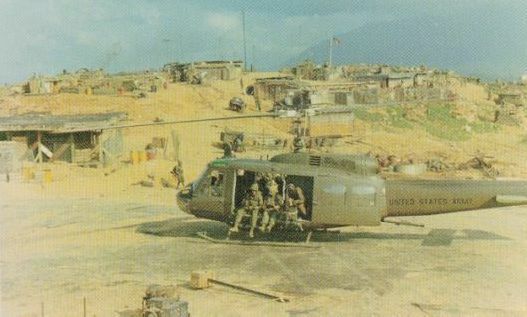 Doyle and Spilberg left the aid station and crossed the compound to the Charlie Company CP. When they arrived they found that it too was an inferno, its sandbagged entrance collapsed. Throughout Mary Ann, unprepared Americans were shot and blown apart by the VC sappers, who seemed to know precisely where to concentrate their assault. 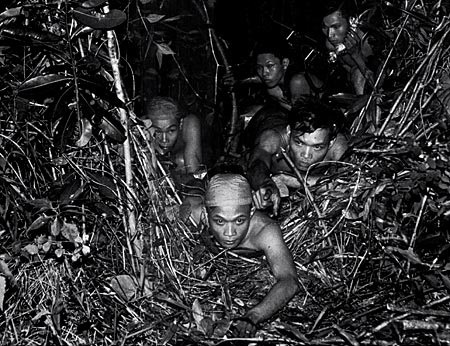 Later, some survivors would accuse the South Vietnamese of cooperating with the attackers. Specialist 4 Steven Webb was the only U.S. soldier who was with the base’s ARVN contingent throughout the fight. 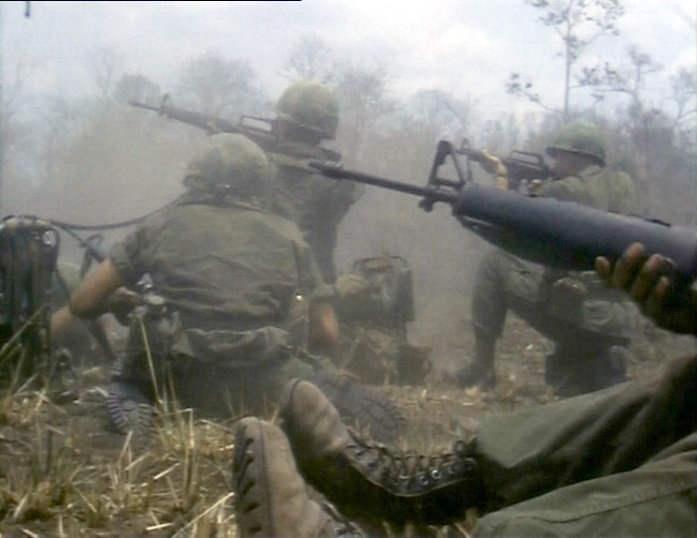 Despite later rumors that ARVN troops had fired on Americans that night, Webb said he never saw it happen. 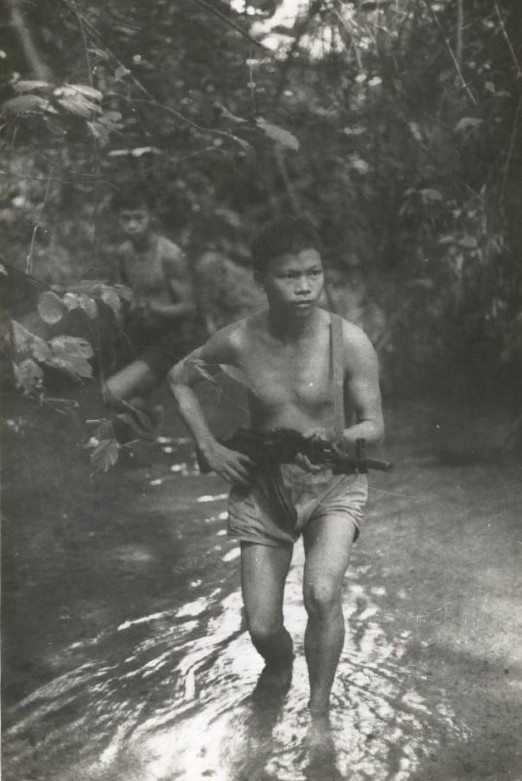 The officer, who wore the insignia of a South Vietnamese first lieutenant, persisted in his questioning of the Americans until some of them told him the easiest way in and out was the south end and on the road running past the rifle range to the water point. In one of the most dramatic events of the night, Lieutenant Barry McGee, who had been sleeping atop bunker No. 10 when the attack started, stumbled half asleep into his platoon CP with several of his men just as the enemy targeted the position. 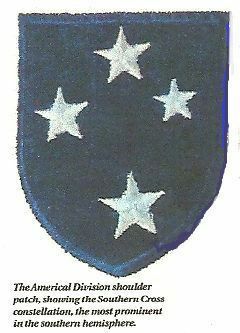 McGee was the leader of C Company’s 3rd Platoon, which manned bunkers Nos. 9 through 13. As he and his men grabbed their weapons and prepared to return outside, two mortar rounds hit the bunker, half demolishing it and dislodging a heavy ceiling beam that fell on the lieutenant, seriously injuring his head. A medic dressed the wound, and after about 15 minutes the men in the platoon CP noted that the explosions outside seemed to be ending. McGee had just lurched to his feet, turned to the door and said, ‘All right, let’s go!’ when a grenade sailed through the door, exploded and blew the medic, Spc. 5 Carl Patton, back into McGee. Realizing he had lost his weapon, McGee grabbed Patton’s M-16 and again headed for the door. Another satchel charge detonated on the roof, caving it in and killing 22-year-old Sergeant Warren Ritsema when a beam fell on him. The blast knocked down McGee, who again lost his weapon. He staggered to his feet and stumbled outside, incoherent with pain and frustration. When the short, stocky, powerfully built and unarmed lieutenant collided with a sapper outside the bunker, McGee wrestled him to the ground and strangled him with his bare hands. It was quite a feat for somebody already half-dead from a fractured skull. The lieutenant’s corpse was later found atop the VC he had choked lifeless. Another sapper had shot McGee in the back. At 0320, Spilberg and Doyle were at the southern end of Mary Ann, believing the attack was almost over. 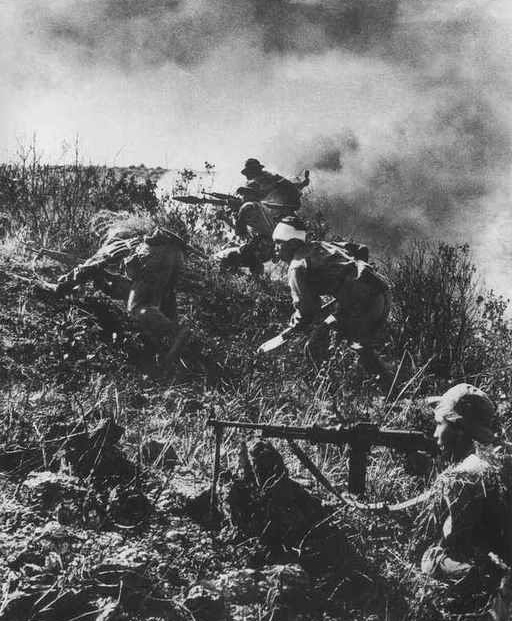 But then, partly obscured by the billowing smoke, another team of sappers started back up the hill, throwing grenades in all directions. 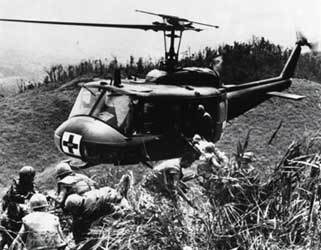 Apparently searching for their own dead and wounded, the VC broke contact and withdrew when the first helicopter gunship finally arrived overhead. At 1600 the next day, the enemy hit the ruins of Mary Ann with 12.7mm machine gun fire, sweeping the enclosure from a ridgeline to the north. 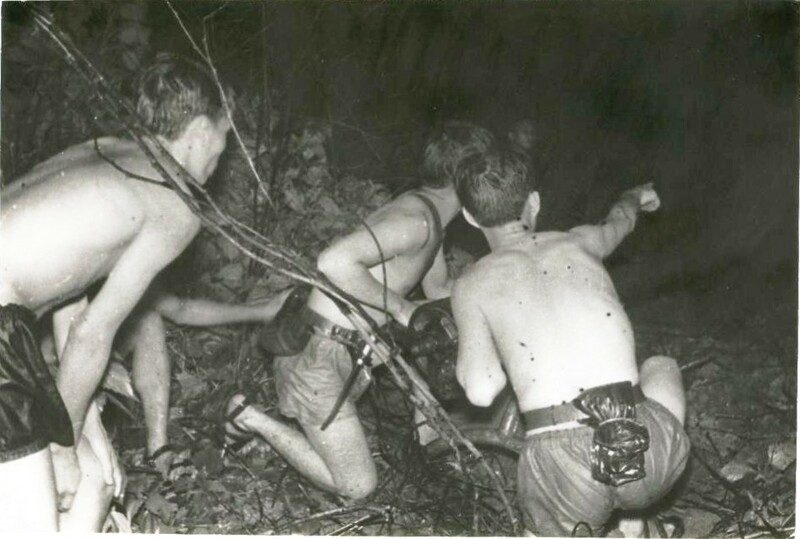 One GI was wounded in the attack.Fifteen dead sappers were collected from within the base, although blood trails indicated several dead and wounded had been dragged back into the jungle. 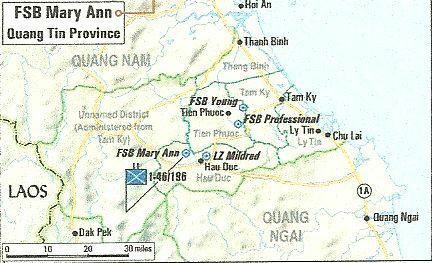 After the debacle, however, the South Vietnamese decided they did not want to garrison Mary Ann. The FSB was closed and abandoned on April 24, 1971. General Creighton Abrams, commander of the U.S. Military Assistance Command, Vietnam, held 23rd Infantry Division commander Maj. Gen. James Baldwin responsible for the disaster, and relieved him of his command. 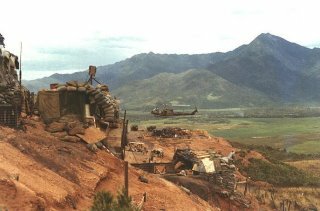 The 23rd ID’s name had been eternally tarnished three years earlier because of the My Lai massacre. Many in the U.S. Army suspected that Baldwin would not have been fired had he been in any other division. What happened at Mary Ann was a failure at the most basic level of soldiering. 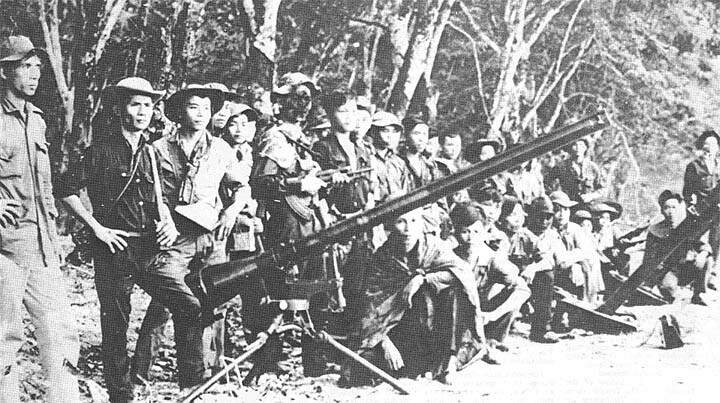 The Company had been warned by its South Vietnamese Kit Carson scout that it had been infiltrated by enemy spies posing as ARVN (Army of the Republic of Vietnam) soldiers. All electronic sensors had been pulled from the perimeter the day before the attack. 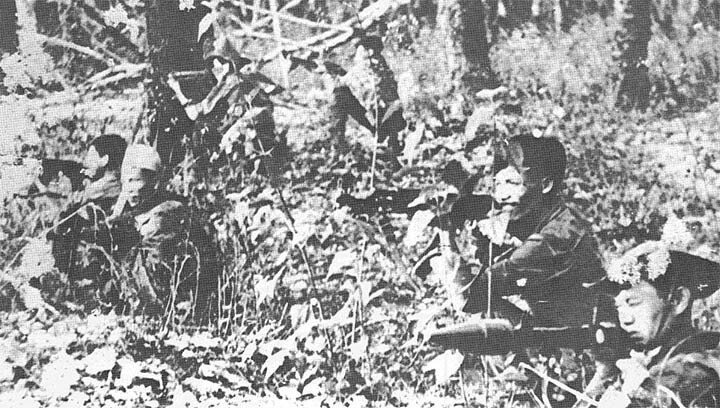 Not a single ARVN soldier came to the aid of the Americans, and the enemy left their Vietnamese brothers alone throughout the assault. 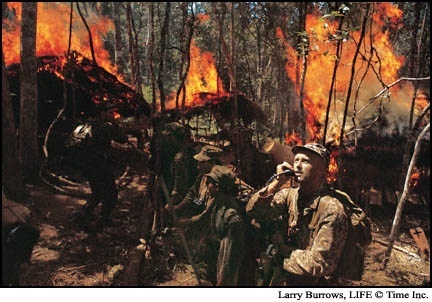 The Americans also took fire from the ARVN part of the compound. Mary Ann was a classic case of intelligence failure. The clues, quite simply, were never added up. 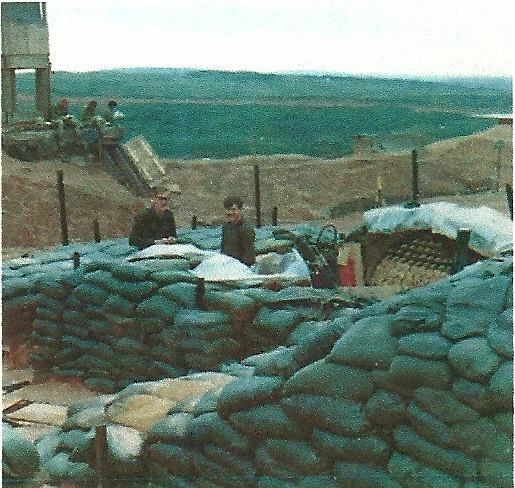 Fire Support Base Mary Ann was scheduled to be turned over to the ARVN in a matter of days. Nobody had bothered to tell the soldiers who died defending it. Excellent article. A small portion of it seems to be a duplication of the article found in history.net. 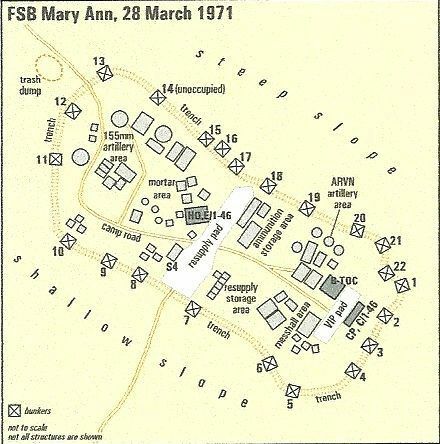 I was a survivor of the siege on FSB Mary Ann, March 28, 1971. In fact, it was my last night, and the end of an 18th month tour in country. 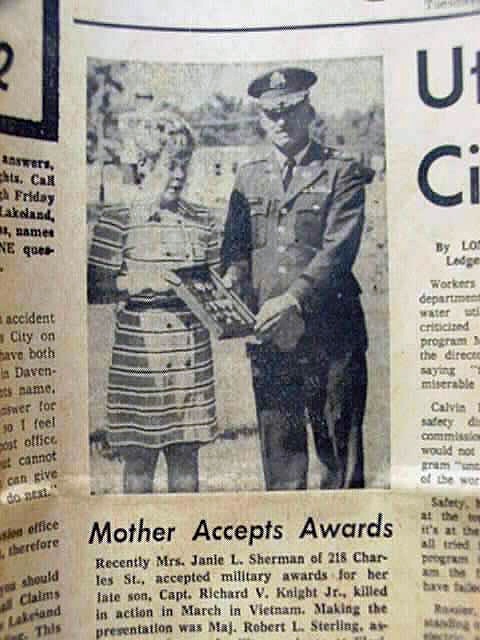 I left FSB MA by noon 3/28/71, and a few days early of my regularly scheduled deros because of a family death at home and the Red Cross sent me home. I was a member of the Quad 50 crew, G Battery, 55th Field Artillery. Although rarely mentioned any many accounts of the event , we fought hard during the siege ourselves. The first of the mortar fire were well centered on our living quarters and the ammo bunker. 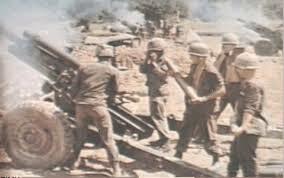 Exploding 50 caliber rounds and mortar fire kept us briefly pinned down. By the time we were recovering from that, sappers began throwing satchel charges in the bunker. Burned, and with minor wounds from debris, we finally made it out to the trenches and the quad. 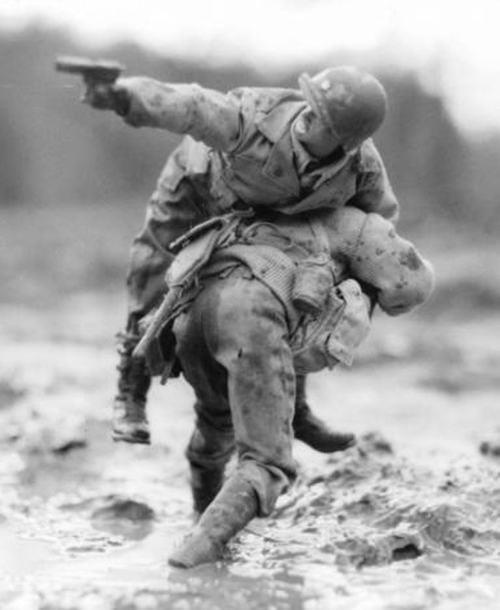 I did not have a weapon at first, and defended myself hand to hand against one already wounded sapper. Finally finding a weapon, it was difficult to make a shot in fear of shooting one of your own. Best shots were achieved during the illumination of a flare. We finally got the quad firing, with the help of a couple of the infantry guys and returned fire to departing sappers. I noticed your article included a map of the firebase. My tenure at FSB MA was about two weeks, and I can’t remember exactly where the quad was situated but, I think it was bunker 18 on your map. Do you know where I can acquire information that might better identify the bunker inhabitants depicted in your map? I’ve read Nolan’s book and the article found in history.net. Can you recommend other literature about this event? 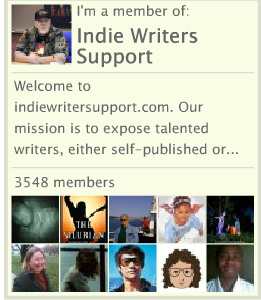 Ron, try this link…there is a wealth of resources available that may help you. Thanks for taking the time to leave your update…much appreciated. Welcome Home Brother! God Bless! Something else that puzzles me…. I was stationed on LZ Professional from Oct 69 thru “about” Mar of 70, and also with the 1/46th. “About” Mar 70 we were moved out of LZ Pro, without much warning. When I say “we”, I mean our Quad, all ammo, as well as the artillery (102mm), the infantry company(s). It was a fast and quick pull-out. I recall flying east for what seemed like an hour or so, to a hot LZ and made our new home. I was told the LZ was called Hustler. 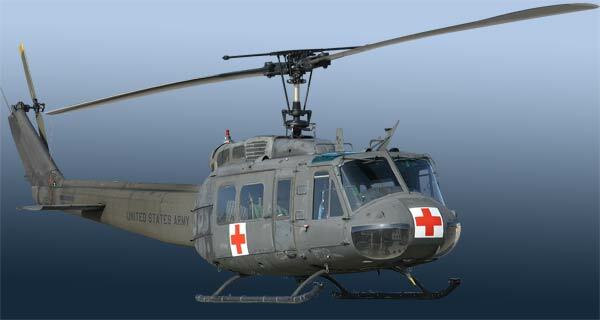 Within a few weeks of that I contracted Malaria, was sent to the 91st Evac, and then sent to other LZ’s after recovery. Now, as I read different data from various resources, I’m beginning to believe that what I thought was Hustler, was probably FSB MA. The geographical location and description of Mary Ann could easily describe my recollections of Hustler. Those recollections however, are obscured from a Malaria infested brain. Do you know the destination of the 196th 1/46th units that were taken from LZ Professional around Mar 70? I was in B co, 1/46th working out of LZ Professional when we were sent to LZ Mary Ann in June of ’70. I went home at the end of August, 1970. 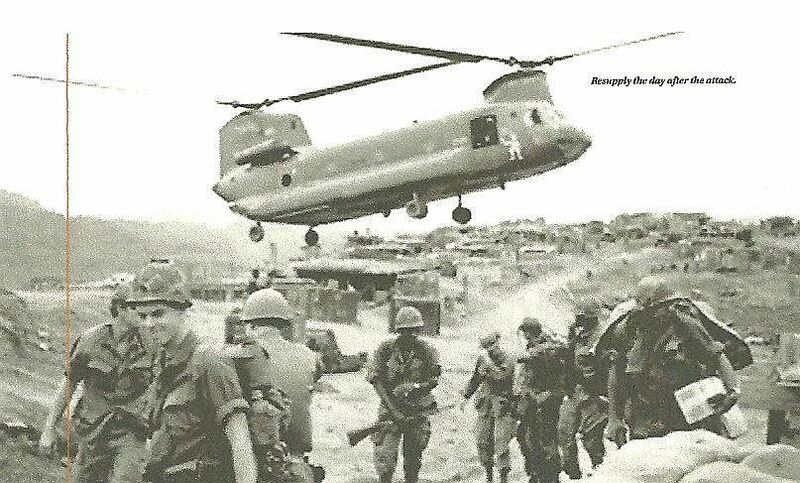 I was there april 69 to march 70….early release by a month or two…I heard “we had moved and were overrun at the new location..
A great read for a current member of the 1/46th Infantry here in Fort Benning, GA. Currently work in battalion staff. We are conducting our annual Torchlight Ceremony this March 2015 and would love it if some of the readers who provided comments of their experiences at FSB MA can contact me for some information. vincent.r.felin.mil@mail.mil Thank you all for those who served, most especially those who gave the ultimate sacrifice. Out here. I was in D co. We were in the field the night the “hill” was overrun. I WAS NOT there for the initial attack. There was a secondary attack the following night, but I don’t think that anyone was hurt. I was a radio operator for Capt. Kirkey at the time, and was mentioned in Keith Nolan’s book, just not by name. We were picked up early the next morning & brought to MaryAnn to provide support & reinforcements. It was a long time ago (45 years) but I remember counting 153 people who were medevaced that following day. That doesn’t agree with the “official” count, but I DID write that down in the little pocket notebook that all RTOs carried.. Colonel Doyle was removed & replaced by Colonel Clyde Tate, and shortly thereafter, we all moved from MaryAnn to LZ Linda, which was located just outside of DaNang. We replaced the First Marine Division there, which was coming home. I spent the rest of my tour THERE as a batallion (1/46) radio operator, under Col. Tate until coming home in Aug. of ’71. Thanks for the commentary, Dale. My friend, Steve Blackburn and I were both reassigned from the 25th Division in March, ’71. I went to the 101st and Steve went to Americal and FSB MaryAnn. He was on the firebase the night they were attacked and survived the battle. I didn’t find this out until years after returning from Vietnam. To this day, he doesn’t care to talk about it. I served in the 1st of the 46th on LZ Mary Ann from the time the battalion moved from LZ Professional until I left the hill probably about a month or so before the attack. I had been back home about 2 weeks when the attack occurred. 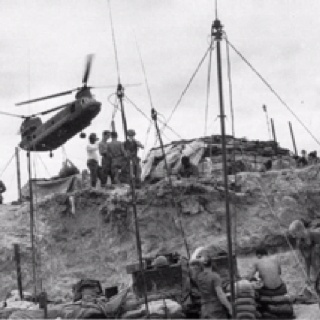 They pulled me back off the “hill” a week or two early back to Chu Lai before I was scheduled to leave Viet Nam. I was a radio operator in the TOC assigned to headquarters company. I remember Lt. Col. Doyle very well and talked to him every day although I never knew him well. I remember Captain Spillberg and I think I remember LTs McKay and Schmitz. I had occasion to speak to Col Hathaway a couple of times. I remember the base was being probed around the time just before I left the hill and if memory serves me perhaps a mortar or two was lobbed in a time or two. There had been a few alerts during that time after movement had been detected in the wire. It’s been so long and memories tend to get confused so I’m never quite sure of what happened when and where, but there definitely was some activity around the base prior to the attack that in retrospect was probably connected to the impending attack. I do remember I was off the “hill” running a radio relay in the bush for about a month when the fragging took place and only heard about it much later when the CID came out to investigate – not sure what they were investigating. I never felt too secure on the hill. I thought it was a very bad location for a firebase with taller hills surrounding it to the east and north and a very gentle slope approaching the hill from the west and ssouthwest. After LZ Pro which had a very formidable location and seemed to be a very difficult target for attack, when I first arrived at Mary Ann I thought this was a disaster waiting to happen. i got in country in March ’70 and to Professional probably around April ’70. I guess you were gone by then. I too worked the graveyard shift at the TOC. I remember working with a guy (buck sergeant I think) who said he had washed out of Green Berets training. I don’t remember his name. He left soon after I arrived. My memory was that Doyle didn’t take command of the 1st/46th until after the move to Mary Ann but I could be wrong. I can’t remember the name of the Lt.Col. before Doyle but I do remember we called him “Crash” because his bird had been shot down or went down due to mechanicals. I remember having to wake the cooks up at 3 or 4 am and one of them was always taking a swing at me for my efforts. I don’t remember the speedy fat cook. I too can’t remember too many names – hardly any. I don’t remember a Captain Doyle. The head of communications I remember was Captain Weeks. Lt.Col. Doyle was a different Doyle from the Captain. I was with Delta Company and I was NOT on the “hill” that night. We came in later on the 28th. As noted, the attack was at about 0230, so that was also the 28th. Anyway, one point I would add, the ARVNs were on the side of the firebase that sloped off steeply down to the river. It was virtually a cliff. The sappers came through the wire on the other three sides of the hill. I don’t know if the ARVNs were in collusion with the VC or not, but their position on the hill would have kept them from the fiercest fighting. And, Dale “Chickenman”, good to see you in print here. I came to Maryann 3 days later I think from the 25th Inf. We ran some patrols for a couple of weeks. Hated being in the dump outside the camp as FLP because the rats were always moving about at night. Lost some good soldiers that night. Think of the Nam everyday. Rick, one of my buddy’s from the 25th – Steve Blackburn – got sent to Americal when they were going home. He arrived at MaryAnn the morning of the attack as is thankfully still with us! I am an ebook author, see “Slick Driver: Memories of Black widow 14” Available on Amazon. This article, Overrunning of Mary Ann, is extremely well written! I believe every word because it closely matches my own personal experience. 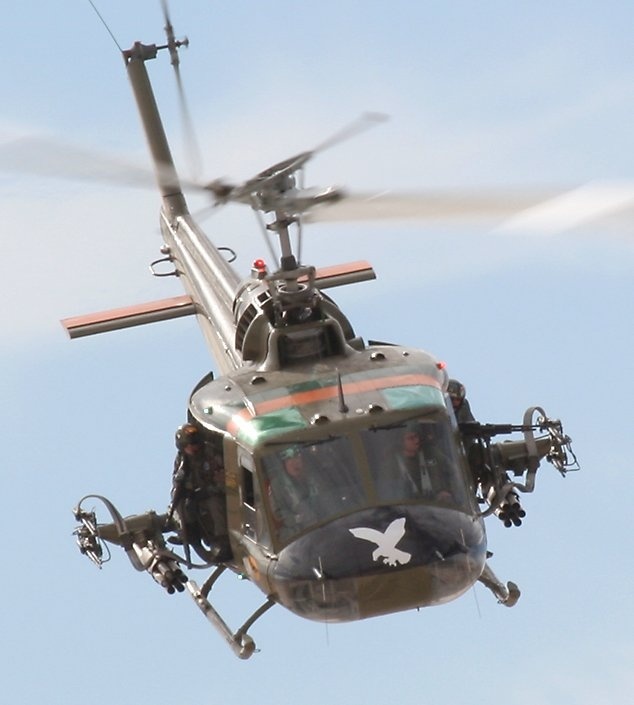 My base, LZ Sally, and Hue Phu Bai were never overrun, many times, we pilots had to hold our slicks still while our friends hopped off or struggled onboard and well-trained NVA tried their best to kill us. It is a well written and factual article – to the best of my recollection.